Q: How do you take the required minimum distributions (RMDs) in a real estate IRA if there is no cash available? Q: How do you avoid the required minimum distribution penalty fee and taxes, which total about 30% for those who are not 59 ½ years of age? A: There is no way around having to pay taxes on distributions as well as the potential penalty if the distribution is from a Traditional IRA. 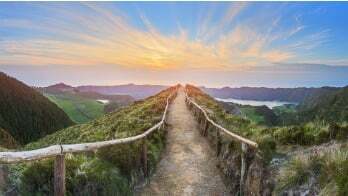 Q: Can I open a self-directed IRA with income from the mainland US and invest it in Puerto Rico (US territory)? A: Yes, the real estate investment for an IRA can be outside of the country. The logistics of acquiring pertinent information such as the fair market value for the property must be worked out with the IRA custodian/trustee. There are yearly IRS reporting requirements for the IRA. Q: How long does it take between sending my IRA administrator funds to set up an account and when I can purchase a property? A: Keep in mind, besides annual contributions, only assets already in retirement plans can be transferred or rolled over to an established IRA. Setting up an account can be done within 2-3 business days. Once the IRA is funded, you are ready to look for a property to purchase. Q: Can I take my Real Estate IRA to a real estate auction and use it as "cash"? A: There is no such thing as a Real Estate IRA to take to an auction. One of the many options Entrust proposes to purchase a property using IRA funds is The Entrust Group myDirection Visa® Prepaid Card. It’s a prepaid card that can be loaded using IRA funds to purchase an investment. Q: If you personally mix a real estate loan together with the IRA and you have to foreclose, can you buy-off the IRA percentage by paying to the IRA? A: Unfortunately, you cannot personally purchase the IRA’s ownership portion of an investment. This would be considered a prohibited transaction. Q: If you purchase a rental property and turn 70 ½, could the rental income be taken and considered part of the required distribution? Prior to 70 ½ I'm assuming the rental income must go back into the IRA, correct? Will my Traditional IRA be taxed? A: The rental income that is deposited back to the IRA can be distributed to satisfy an IRA holder’s required minimum distribution. The income must go back into the IRA, always, even after attaining age 70 ½. To get the cash out, a request for distribution must be sent to the IRA Custodian/Trustee. Yes, distributions from Traditional IRAs are typically subject to tax and potential penalties. Q: If I purchase a multi-family complex with IRA funds, can others invest in the same complex? A: You can partner with other parties to purchase any property. 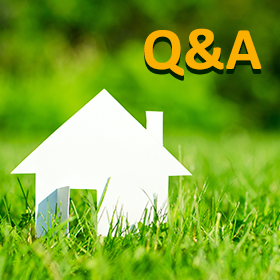 Q: What degree of involvement can I have in managing a rental property in self-directed IRA? A: Unfortunately, there are limitations on what you can do for an investment held under your IRA. You can direct vendors to perform services for your investment but beyond that, it would be advisable to stay away from performing the services yourself. Q: How is the money taken out of the IRA for repairs and other expenses taxed, for people who are under 59 1/2 years old? 1. You can request it via a payment authorization form to authorize Entrust to pay for such expenses from the IRA assets. 2. You can sign up for The Entrust Group myDirection Visa® Prepaid Card. This card is used as a prepaid card loaded with IRA funds to be used as a means of paying for IRA expenses. You can manage your asset transactions via our client portal. In addition, you can categorize your expenses as "investment expenses" to avoid having those expenses treated as distributions. We encourage our readers to post any additional questions regarding investing in real estate with your IRA in the comments section below so other readers may benefit from the answers. In addition, you can view the full recording to this webinar here to get answers to questions which are not listed in this article.